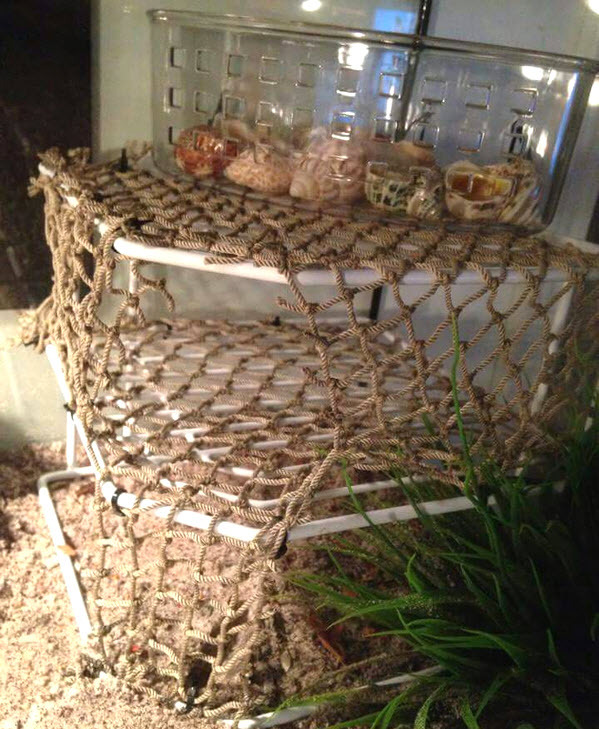 Create a multi-level climbing area for your crabs! Get a corner rack that fits well in your cage. Lay part of a net over the top shelf, then fold the net down into the middle shelf. Cut off the excess net and use zip ties to hold it in place. Cut out the top and sides of a doorway area of the net, fold the doorway down to create a ramp from the bottom level, and zip tie the ramp in place. Put items your crabs might like on the shelves, such as a shell shop or moss garden, set the climbing area in your tank, and consider putting plants or other items near the rack for your crabs to climb as well.